Which is bigger, USA or Australia? 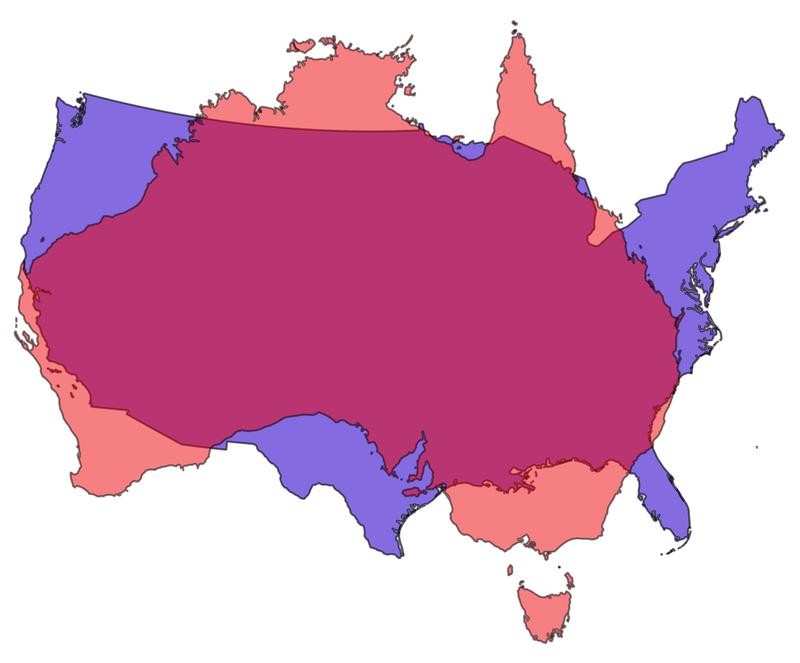 Which is bigger, Australia or USA? By USA we mean the contiguous states. I forget who asked, but judge for yourself!